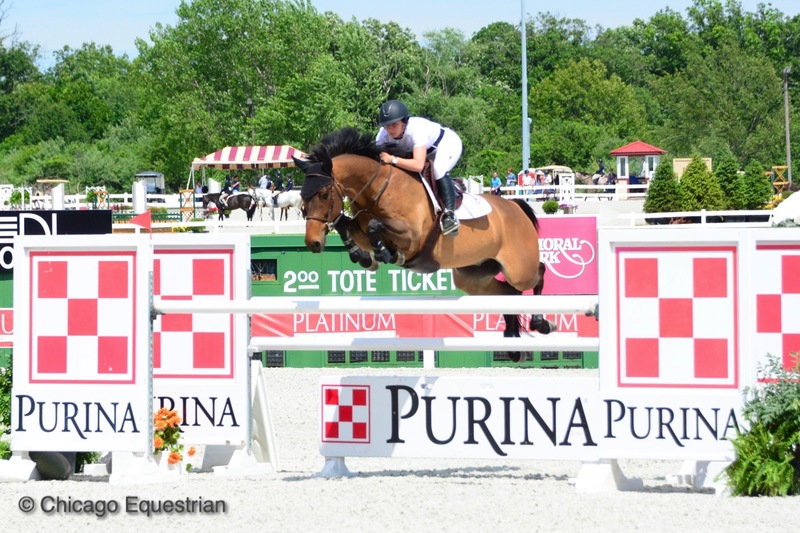 Molly McAdow and Claas Clever's high scores lead them to the win in the $2,500 USHJA National Hunter Derby. Crete, IL – June 16, 2017 – Hunter Derbies took over the main hunter ring while the popular $10,000 Marshall & Sterling 1.30m Jumper Classic was the feature in the Grand Prix Ring as competition continued during the Showplace Spring Spectacular II Horse Show at the new HITS Balmoral Park venue. On Tuesday, June 20th, Derbies will take over both main rings for the Showplace Derby Day featuring the $25,000 USHJA International Hunter Derby presented by Bull Run Farm, the $10,000 USHJA National Hunter Derby sponsored by Galway Farm, the $2,500 Balmoral Child/Adult Hunter Derby and the $2,500 USHJA Pony Derby sponsored by the Markman Family. 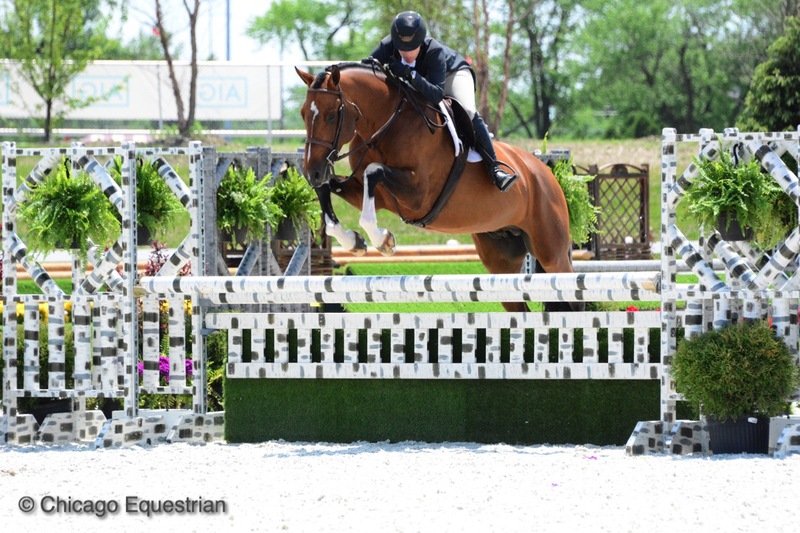 Molly McAdow and Claas Clever, owned by Mary Beth Canfield of Chicago, won in the$2,500 USHJA National Hunter Derby Friday and reminisced about the long history with Canfield that got them to this point. Both McAdow and Canfield have grown their riding careers at Lorrie Canady's Galway Farm. "I remember when I was nine and rode at Galway, Mary Beth share boarded my little quarter horse with me," smiled McAdow. 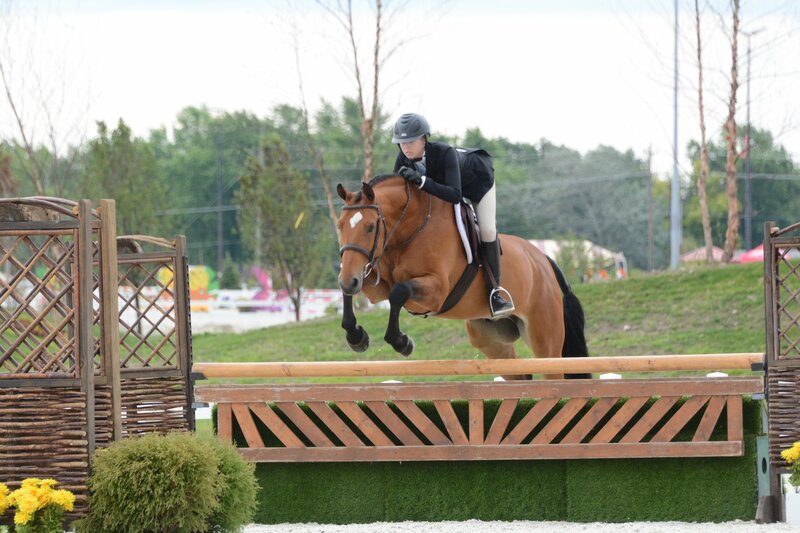 "Mary Beth is a great owner and I'd like to thank her for allowing me to ride this amazing horse. I remember being at Spring Spectacular after we imported him and showed him in the greens as a five-year-old, he over jumped just about everything! Over the years Mary Beth has played a part in the plans for the horse and is a very supportive owner." Mary Beth is like a legendary owner," laughed Canady. 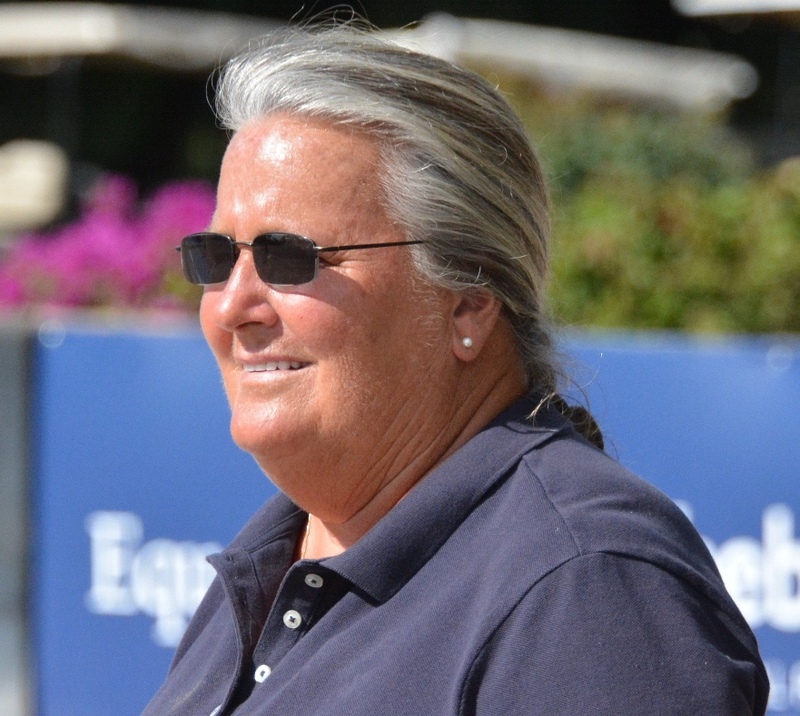 "She has always been understanding about the role the professional plays in the development of the horse for over 20 years now. She supports the trainers, the riders and the barn and gets behind us with sponsorships. We couldn't do it as well as we do without Mary Beth." Canfield's daughter, Molly, shows Claas Clever in the Junior Hunters 3'3", after spending some time riding him in the Children's Hunters. Canfield also owns Insignia, another fantastic horse imported young and brought up through Galway Farm's program to qualify and show at indoors. Canfield shows Insignia in the Adult Hunters now. Both horses have a lengthy list of championships on their resumes thanks to Canfield's ownership. 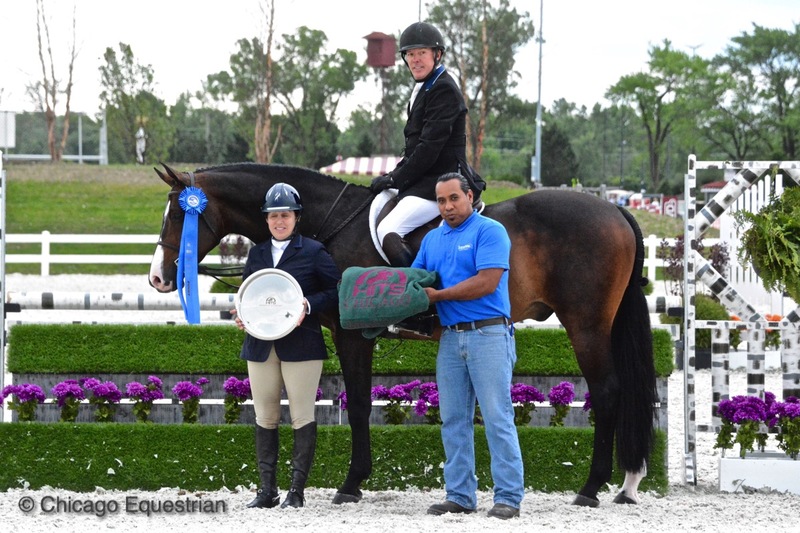 Meagan Murray-Tenuta and Cheeky rode to second place in the $2,500 USHJA National Hunter Derby. Meagan Murray-Tenuta of Buena Vista Farm can also appreciate great owners as she claimed second place in the derby with Becky Price's six-year-old Westphalian, Cheeky. Last year Price purchased the farm in Zion where Buena Vista Farm resides, but the pair had been doing business with the horses even before that. 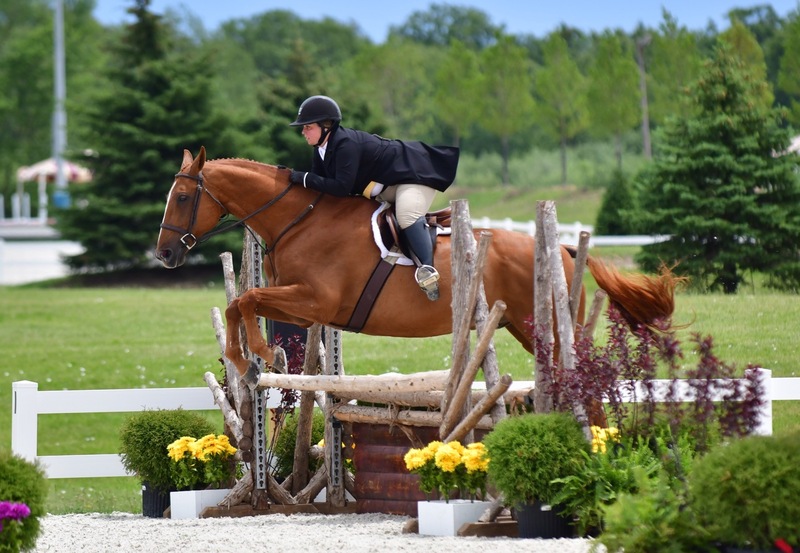 Price also owns Editorial, a 10-year-old Holsteiner Murray-Tenuta won the first round of the prestigious Deeridge Hunter Derby on this winter, among numerous championships in the hunter divisions. 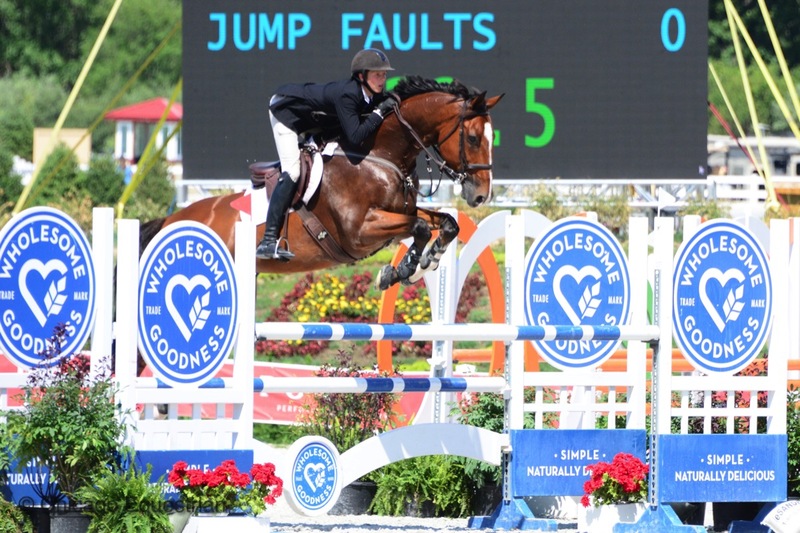 Murray-Tenuta also rides Diamond D'Heure ABF that belongs to Price, and has successfully been bringing along the seven-year-old Belgian Warmblood. "Becky is a great owner," said Murray-Tensta. "She gets very excited when they win and supports us every step of the way. She owns several great horses and has fun watching them all develop." Doug Boyd and Calido's Son pose in the winner's circle with owner Mimi Rothman and Calido's groom for their win in the $2,500 Devoucoux Hunter Prix. Doug Boyd, trainer at Sapphire Riding Academy, Mettawa, IL, and Mimi Rothman's Calido's Son won the $2,500 Devoucoux Hunter Prix. This is Boyd's third Devoucoux Prix as he works his way to qualify for the big final. Boyd will also attest to Rothman as a great owner. Rothman and Clara Ciancuillo teamed up with Boyd to create Sapphire Riding Academy and have purchased several great horses along the way. "We have been working together for 4 ½ years and she [Mimi Rothman] and Clara [Ciancuillo] have been super owners, supporters and business partners. I'm very grateful for the relationship we have developed over these years," said Boyd. Paige Matthies and Justified took second in the $2,500 Devoucoux Hunter Prix. Paige Matthies of Lake Leelanau, Michigan, took the second place spot with her junior hunter, Justified. 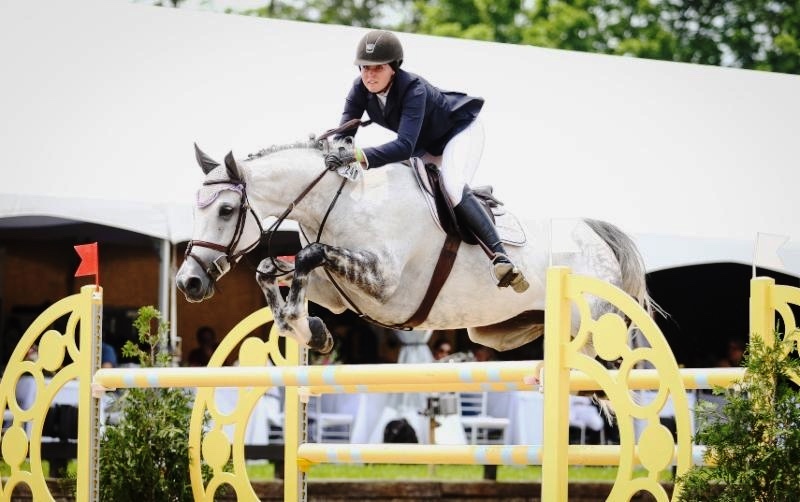 Matthies rides with Melissa Hirt at Northern Pines Farm and also rides in the jumpers and the equitation with her eye on qualifying for the medal finals again this year. 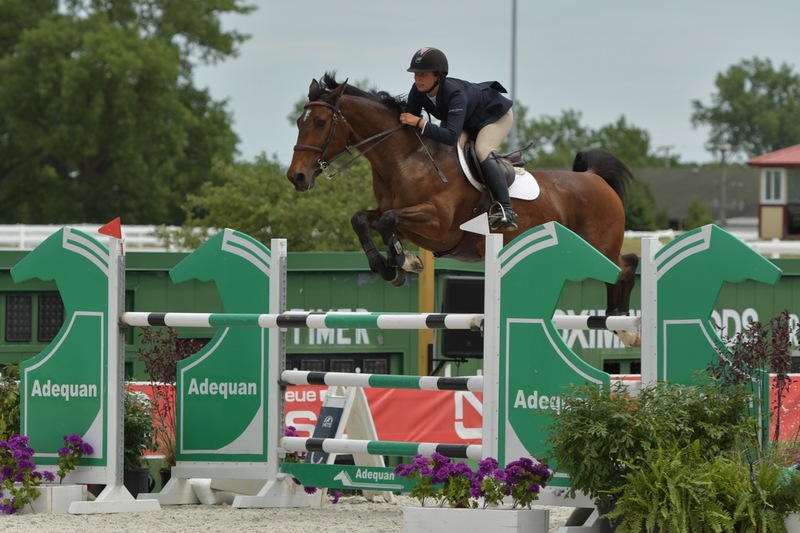 Riders who compete in five or more of these classes can qualify for the $500,000 Diamond Mills Hunter Prix Final, where the top 80 horses will compete for the big paycheck during the championships at HITS on the Hudson in Saugerties, NY, in September. Kendall Meijer and Honey Creek won the Platinum Performance Hunter Prix. Photo Andrew Ryback Photography. Kendall Meijer and Honey Creek, owned by Copper Fox LLC, added a Platinum Performance Hunter Prix victory to their list of wins. 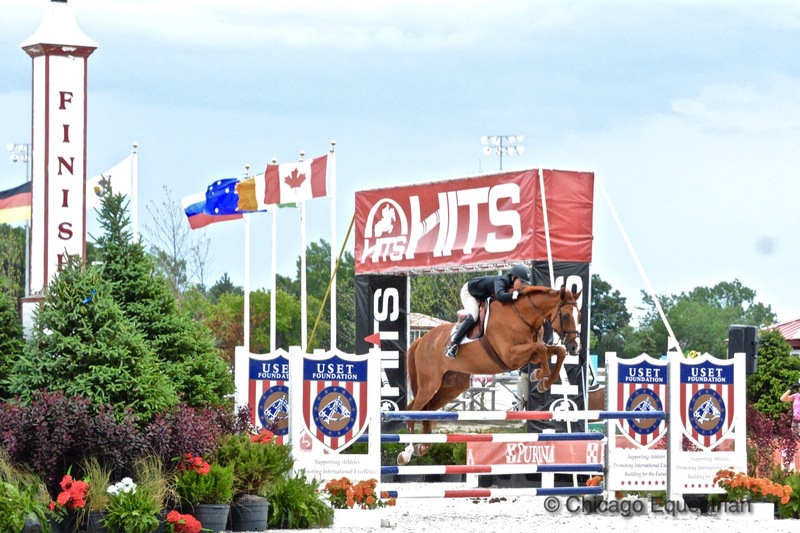 Meijer is on her way to qualify for the $100,000 Platinum Performance Hunter Prix Final for junior and amateur riders to be held at the HITS on the Hudson Championships in September. The feature class in the Grand Prix Ring was the popular $10,000 Marshall & Sterling 1.30m Jumper Classic, part of the $150,000 M&S 1.30m Jumper Series. Lisa Goldman of Red Coat Farm in Hawthorn Woods, rode to the top of the leader board with Hannah Bilton's Chasinta. "We have great owners," exclaimed Goldman. "Without them we couldn't do what we do and reach the level of competition we have been fortunate to obtain without their support. Behind every great horse is a great owner and a great team." Adeline Rohrbach and Eastpoint JB. Taking second in the 1.30m was Red Coat Farm rider Adeline Rohrbach and Eastpoint JB. The pair has been in the top ribbons each week. Brian Moggre and MTM Ace of Spades. Brian Moggre and MTM Ace of Spades, owned by Major Wager LLC took the third place slot. Saturday features the $50,000 Adequan Grand Prix and juniors and amateurs will take to the hunter rings. Carney will also be donating her lesson and day fees on Wednesday, June 21st, in honor of her mother, to the Jump for ALZ fundraiser. Contact Carney to get in on a special morning lesson and support Alzheimer's research. Diane Carney is a lifelong, dedicated horsewoman, emphasizing horsemanship in every aspect of her world. Her versatility and in-depth knowledge as a grand prix rider, hunter rider, clinician, USHJA certified trainer, event organizer, commentator, course designer, USEF R judge, USEF International Disciplines Committee member, Zone 5 Vice-Chairperson and USHJA Board of Directors member, gives her a well rounded perspective on the industry. Catie Hope and Total Touch, owned by Kathleen Hope, another longtime great owner in Carney's business. Carney finishes the season with commentating the ASPCA Maclay Finals at the CP National Horse Show in October with George H. Morris. Morris will once again teach the annual Chicago Clinic as he has for over 30 years with Carney at the helm as organizer, at Brookwood Farm in Antioch, Illinois, November 24-26th. Contact Diane Carney with questions regarding any of these events.